The phenomenon of the NGOs or the Non-Governmental Organizations entering the field of social welfare accelerated in the 1980s, with some focusing on social, economic and political development of the Zimbabwean people particularly in the rural areas. In earlier decades, though there were several charitable trusts and organizations like Red Cross, the explosion in the number of NGOs and the concomitant rise in their profile were relatively muted. This aspect of the NGOs taking center stage has been attributed to the need for NGOs to complement local governments and central government efforts to deliver development and actualize the principles of social justice and social welfare. In Zimbabwe, the need for NGOs was exacerbated by the economic crises in recent years, first during the ESAP era in the early 1990s, then the 2006-8 hyperinflationary era and the current austere environment. This trend also became more noticeable in the first decade of this millennium wherein the NGOs were seen by many as the real votaries of social welfare with the rise in the failed states of Africa and other parts of the world where governance simply collapsed. Many people often wonder about why the NGOs or the Non-Governmental Organizations need to work in the realm of social welfare as that is the job of the government. The reasoning behind this is that the primary role of the government is social welfare and hence, it has a duty and responsibility towards the citizens to promote social welfare. However, ever since the 1990s, government has been following the dictum of “less government is better government” wherein to some extent, it withdrew from some areas concerning social welfare and instead let private organizations take over health, education, urban amenities, and other infrastructural services. This is where the NGOs stepped in with their objectives of fulfilling the role that the government has to play but which it decided to abstain. Another aspect about governmental failure, which the NGOs remedied, was in the realm of implementation of policies. Since policies are made for social welfare, the government has a duty and a responsibility to actualize the noble principles behind such policies. Instead, people realized that the government was taking lesser and lesser interest in their welfare and hence, NGOs stepped into this gap as well. The point here is that NGOs quickly filled in the gaps in the roles that the government had to play and these were to do with fulfilling the need for basic services, failure to implement the policies, and third, suggesting, and advocating appropriate policies. Having said that, it needs to be mentioned that even now the government is still the best bet to actualize social welfare because it has the size and the scale to reach out to large populations. No matter how much the NGOs try, they simply cannot match the power of the governments in actualizing social welfare simply because the governments are the agencies tasked with the purpose of social welfare and because the amount of money that is at the disposal of the government is something that even the biggest NGOs cannot match. Hence, the implications of this are that the government and the NGOs are in a seesaw battle with each of them trying to outdo the other where social justice and social welfare are concerned. This is the reason why the governments and the NGOs exist in a state of tension with each other. The ideal model for actualizing social welfare would be one where the government is directly in charge but where the NGOs are tasked with the objective of ensuring smooth delivery of social services and where they are called upon to monitor the delivery mechanisms and provide objective feedback. This means that the external audits of the programs undertaken by the government have to be done by the NGOs no matter how much the governments resist such efforts. Further, this model of development is being practiced in other nations like India. Finally, social welfare is best actualized by the government. Despite the many successes of NGOs, the fact remains that it is the duty of the government to promote social welfare and no amount of good work done by the NGOs can substitute for that done by the government. 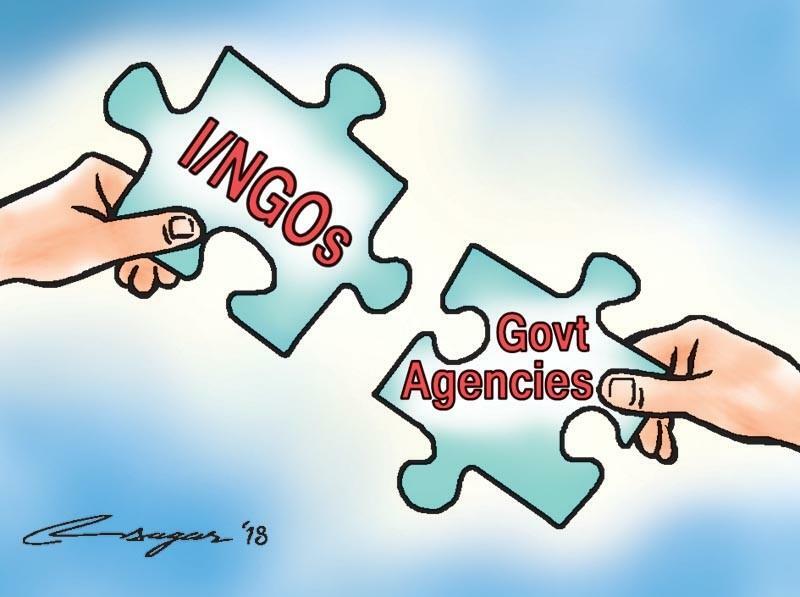 Both the government and the NGOs have to realize that each cannot do without the other and hence, instead of a tense relationship, a creative tension wherein each complements and supplements the other would be preferred. After all, social welfare is a topic that is of paramount importance and something that should not be marred by personality clashes or overlapping areas of interest.